In the August issue of The Oncology Pharmacist (TOP), we feature a conversation with Steve Stricker, PharmD, MS, BCOP, Senior Medical Science Liaison, Takeda Oncology, Florence, KY, in which he discusses the importance of provider status, ongoing drug reimbursement issues, and the shifting roles and responsibilities of oncology pharmacists (see "The Evolving Role of Oncology Pharmacists"). “I do not think many physicians realize the clinical backgrounds and skillsets that pharmacists, especially those who have been residency trained and board certified, have developed, and where they are in the professional landscape,” Dr Stricker told TOP (see "The Evolving Role of Oncology Pharmacists"). This issue also features highlights of key presentations and studies from recent national and international meetings, including the Hematology/Oncology Pharmacy Association (HOPA) Annual Conference, the 2017 American Association for Cancer Research (AACR) meeting, the National Comprehensive Cancer Network 22nd Annual Conference, the Society for Immunotherapy of Cancer Clinical Immuno-Oncology Symposium, and the Genitourinary Cancers Symposium. At HOPA, topics of interest included new therapies for patients with relapsed or refractory multiple myeloma (see "New Drug Therapies for Relapsed or Refractory Multiple Myeloma"), the recent Centers for Disease Control and Prevention guidelines for prescribing opioids for chronic pain (see "Centers for Disease Control and Prevention Guidelines on Opioid Use for Cancer Pain"), the latest strategies to prevent and treat graft-versus-host disease (see "Graft-versus-Host Disease: Breakthroughs on the Horizon"), efforts to prevent burnout among pharmacists caring for patients who have undergone hematopoietic stem-cell transplantation (see "Burnout Rates High for Pharmacists in Hematopoietic Stem-Cell Transplantation"), and strategies for improving outcomes in special patient populations treated with chemotherapy (see "Chemotherapy Treatment Considerations in Special Patient Populations"). 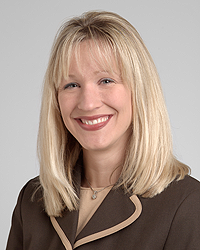 “Treatment of special populations with cancer remains challenging and ever-changing, but pharmacists can positively impact patient outcomes by familiarity with evidence and best-practice guidelines,” stated Mary S. Mably, RPh, BCOP, Supervisor, Oncology Pharmacy Programs, UW Health, Madison, WI, at HOPA. In addition, this issue provides valuable information on advances in immunotherapy, including the development of vaccines that may be helpful in preventing tumor progression (see "Shared Antigens Yield Promising Targets for Cancer Prevention"), the potential for rapid adoption of novel oncology drugs to improve real-world survival for patients with cancer (see "Rapid Adoption of Novel Oncology Drugs Improves Overall Survival"), and new evidence that supports the use of as­pirin for precise chemoprevention of colorectal cancer (see "Evidence Supports the Use of Aspirin for Precision Chemoprevention of Colorectal Cancer"). “Cancer is poised to overtake cardiovascular disease as the leading cause of death in the US [United States], so aspirin can potentially have an impact on the 2 leading causes of mortality in much of the world,” Andrew T. Chan, MD, MPH, Chief, Clinical and Translational Epidemiology Unit, and Director, Gastroenterology Training Program, Massachusetts General Hospital, Boston, told attendees at the AACR International Conference on New Frontiers in Cancer Research in Cape Town, South Africa. We invite you to visit www.theoncologypharmacist.com to share your feedback about this issue with us, or send comments to info@TheOncologyPharmacist.com". We look forward to hearing from you!